Deciding to have surgery on your pet is never an easy choice. At Poulsbo Animal Clinic, we aim to make the process as smooth as possible. Our AAHA-accredited clinic uses the newest equipment, latest surgical techniques, and highest safety standards. Your pet’s safety and comfort are our top priority. 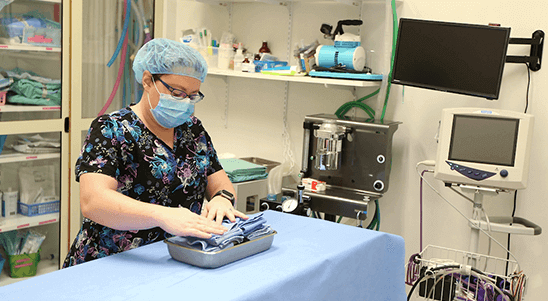 Pre-surgery: Before surgery begins, we take great care to ensure your pet is prepared for the procedure. To do this, we first provide education to owners about the surgery. This education includes a complimentary phone call the business day before the surgery, during which we confirm the time of the appointment and answer any questions owners may have. Feel free to contact us today to learn more about our surgical procedures or to schedule an appointment. You can also read our case studies here.